Burma, a country of mystery, has been internationally famous for its 4000 Buddhist pagoda and centuries-old traditions as well as special products. Neither too dear nor too sought, the souvenirs from Burma are simple but also strange. Normally, a Myanmar trip lasts 5 to 10 days. That is why we have plenty of time to discover the sites that have been considered the most emblematic of the country. It is Yangon, the largest city of Burma with the famous and magnificent Shwedagon pagoda. It is a minivan which one can hop on to go to Bagan and enjoy its thousands of picturesque temples. There is also Mandalay and the 1800 steps to reach the summit of the hill where one enjoys a panoramic view of the city and its surroundings. In addition to these beautiful landscapes, Burma honors the rule of many traditional crafts of unsurpassed quality. All products here, which are made with a special dexterity, have become favorite souvenirs of visitors. First of all, Bagan's main artisanal production is lacquer. The famous lacquer of Bagan is surely the most impressive art of Burma. Lacquered objects can be made with bamboo, fabric, feathers, etc. Red, blue, green, yellow and pink are the most popular hues, but the pure black of the lacquer, simply etched and without color is just as sublime. As Burma is a country rich in precious stones and gold. Many temples including Mandalay have an abundant supply of gold leaves, which is a light Burmese gift that does not take up much space in the suitcase, but is extremely fragile. The longyi- traditional Burmese dress is also a good choice as souvenirs. It is a large piece of fabric that completely covers the legs like a dress. Particularly, there is another highly appreciated souvenir in Burma during your Myanmar holidays – the lotus silk of Inle Lake - a luxury choice for visitors. It often takes several months to make only one lotus silk garment and of course, its price is really high. Do not forget the thanaka. On your first Myanmar trip, you will probably encounter odd facial colorings on the face of local women. This useful powder, called Thanaka, is used as sunscreen and skincare product, ect. This is why it has recently attracted the attention of major cosmetic groups. You can also keep some kyats- the currency of this country as souvenirs after your Myanmar travel. Although some large cities are modernizing and gradually losing their original charm, the vast majority of the country has remained intact, offering a unique and authentic experience. Each city of Burma has its specialties, so do not wait until the end of your Myanmar trip to stock up on memories! It is possible to buy them in the markets of each village you passed. Maybe you will not be able to return to the same places during your Burma trip and the prices are not too different between the shops. Therefore, if you like a thing, try to buy it right away. For example, in the Bagan markets, you can buy bracelets, lacquer boxes and T-shirts. In addition, gems and jewelry in Myanmar is also very well-known. Even the poorest families in Burma most often have a gold reserve in the form of jewelry. 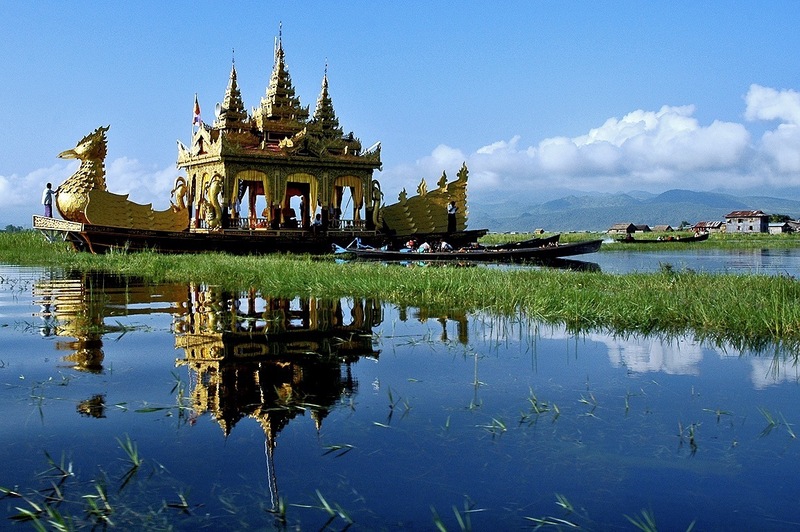 The three most famous places of production that must be added to the circuit in Burma are Inle Lake for its silverware, Mandalay for its goldsmithery and Mogok for its rubies. Ruby, sapphire or jade, etc ... there is something for all tastes of visitors. It is one of the most popular Burmese gifts because prices are much better than in other countries. But avoid the street shops if you want to be certain of the authenticity of your stone. Pay attention: bargaining is a must! In short, since the opening of Burma to foreign investors and tourists, we are more likely to discover a country of thousands of pagodas with splendid tourist sites, fabulous landscapes and cultural curiosities. So why not make a trip to Burma to feel and collect souvenirs to bring back to your home.